Fix for attribute lineage scanning on MS Sync systems upgraded from FIM 2010 or earlier. 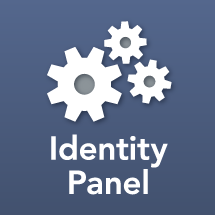 Identity Panel 3.4.2 is the next non-preview release after 3.3.17. See upgrade notes below for post-upgrade configuration steps. 1. Add a new Memo Rule to the set specified by the Memo function with the same name as the set name. If upgrading from a version prior to 3.3.15 see Release Notes on adjusting Azure Provider. Add a new strip to "Partitions to Include" with the DNs of the partitions to scan. This version may be installed on 3.2 and later using the OneDesignConfig.ps1 tool with the -ServiceMode MinorUpgrade switch. To enable new providers after upgrading, you must copy the "Types" section from config_3.4.2.1014.json to overwrite the corresponding section in config.json. This must be done AFTER the upgrade, and is required on both the web application and on each instance of Panel Service. 3.4 switches to allowing multiple shutter views to be assigned to a role. This means roles with a default shutter view must have the view(s) re-assigned.